Solitary yellow flowers, to 2.5 cm across, on slender axillary stalks. 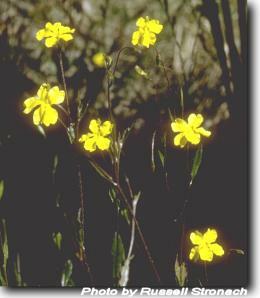 Widespread and locally frequent in marshy places. Plants can be rejuvenated by hard pruning after flowering. Suitable below powerlines. Difficult to grow from seed. Propagate from cuttings of firm new growth.